When she was young we took her to Hawkes Bay with us to stay at a friend's in Napier and she was so good. She got along well with our friend's old dog. She rejuvenated him and added a few more months to his life. We are planning to take another road trip up north next year and thinking it might be fun to take her along. 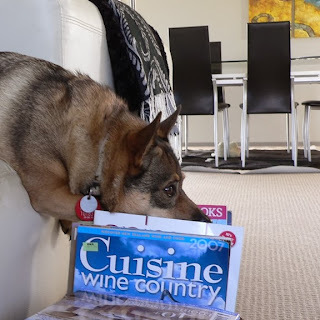 There are a lot of pet friendly accommodations around New Zealand – it is good like that here - so people can travel with their pets. She is well trained so it will not be a problem. She will love it I can imagine.